Eden Hazard is one of the French academy system’s finest exports in the past decade but he could be the man to end Didier Deschamps’s bid for World Cup glory. Born to two footballing parents in the Belgian municipality of Braine-le-Comte, Hazard’s reputation spread across the border and saw him snapped up by Lille at the age of just 14. Two years later Hazard made his professional debut in Ligue 1 and went on to become French football’s brightest talent, twice winning the league’s player of the year prize and leading Lille to a Ligue 1 and Cup double in 2010-11. When a big-money move inevitably came, it was Chelsea who won the race in 2012 with a £32 million ($43 million) capture that now seems like a bargain. In six seasons in England, Hazard has won two more league titles and won plenty of admirers. But some doubt whether he has the desire to back up his immense talent and challenge Cristiano Ronaldo and Lionel Messi as the world’s best player. 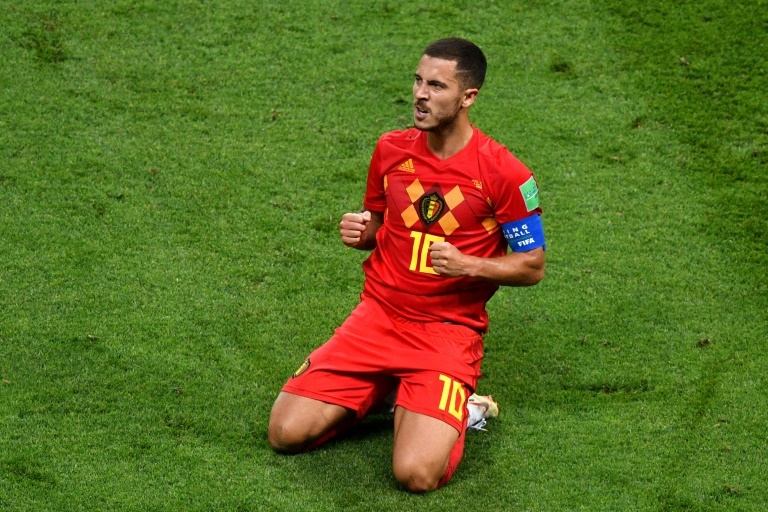 So far in Russia, Hazard looks like a man on a mission to ensure Belgium’s so-called golden generation live up to their billing by bringing home the World Cup for the first time in the country’s history. Handed the armband by Roberto Martinez despite Vincent Kompany’s return from injury, the Spaniard has drawn out Hazard’s leadership qualities. Hazard’s willingness and ability to carry the ball under pressure, jinking past helpless defenders, was in evidence as Belgium claimed their greatest-ever World Cup scalp by beating Brazil in the quarter-finals. With his side clinging onto a 2-1 lead, Hazard repeatedly carried the ball forward in the dying minutes, drawing fouls to offer the Belgian backline some respite. His leadership was also in evidence with a man-of-the-match performance, including a wonderful assist for Marouane Fellaini’s equaliser, as the Red Devils came from 2-0 down to beat Japan 3-2 in the last 16. In outshining Brazil’s Neymar in the last eight, Hazard may have put himself in the shop window. At 27, he has not hidden his ambition to finally make an impact on the Champions League, which Chelsea missed out on after a disappointing fifth-placed finish in the Premier League last season. Long linked with a transfer to Real Madrid, a move to Spain looks more realistic this summer than at any time of his Chelsea career, with Madrid president Florentino Perez often influenced by outstanding World Cup performances and Ronaldo looking set to exit the Santiago Bernabeu. Even if a move to Madrid does materialise, Hazard will be denied a self-confessed dream of working under another French influence on his formation as a player, Zinedine Zidane. As a child, Hazard used to study videos of the man who led France to the World Cup in 1998 — and stepped down as Real boss in May, to hone and copy his skills. Twenty years on, he’s just two games away from matching Zidane’s feat.